I am starting my lesson with a short presentation on cognates. With my 7th grade, I plan to have them work in groups to find cognates around the room and in magazines and write them on post-its and post on my board. They will then do a “gallery walk” of the cognate wall and write down 10 new words they learned from this activity. With my 8th grade I am adapting the creative language blog’s categorizing cognates by ending activity. I will have them work in groups to find cognates by endings and then share their findings with the class where we will then discuss the rules. 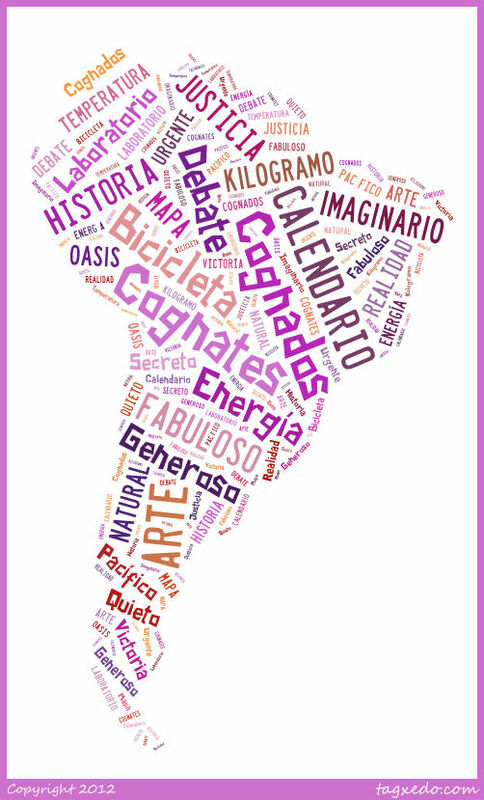 My follow up activity will be to have them make a cognate collage using http://www.tagxedo.com – this is a site where you can make a cloud of words- similar to wordle but here you can make your cloud into different shapes- very cool! Do you teach cognates? What types of activities do you do? Thanks so much for sharing your ideas. They are AWESOME! !